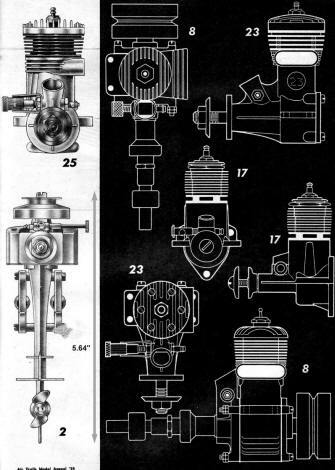 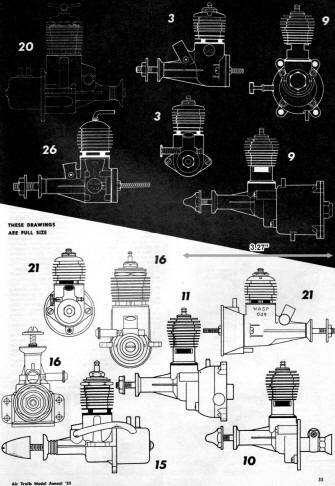 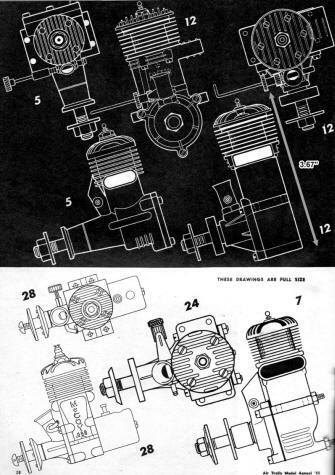 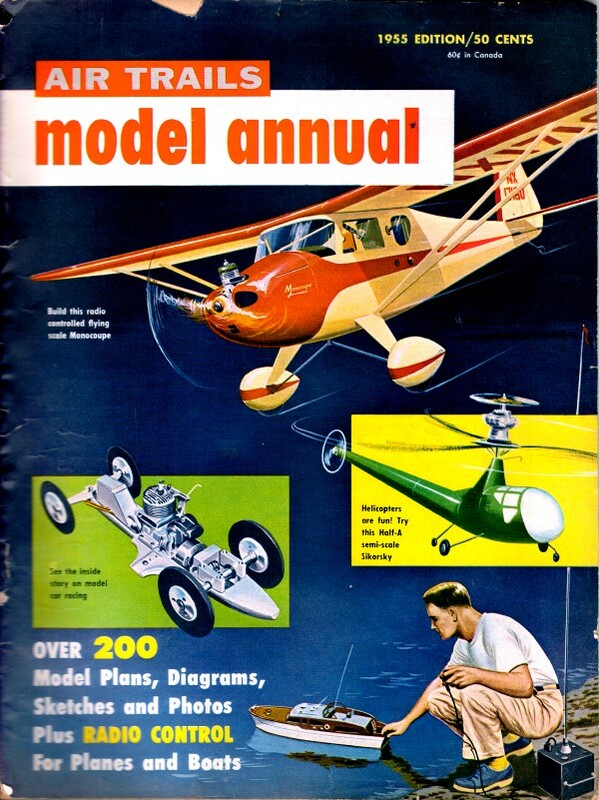 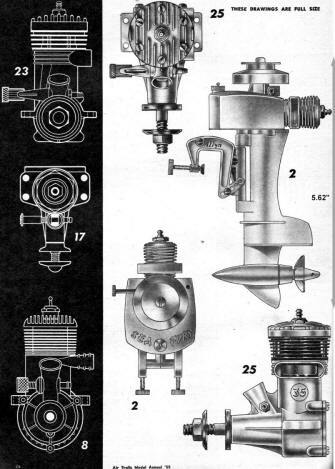 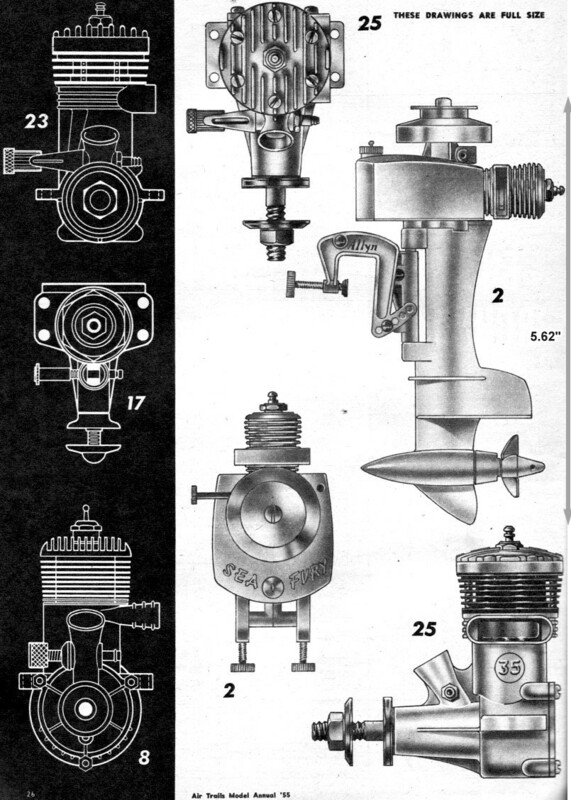 From the 1955 Annual edition of Air Trails: "Here is one of the most informative collections to date of engine drawings and data. 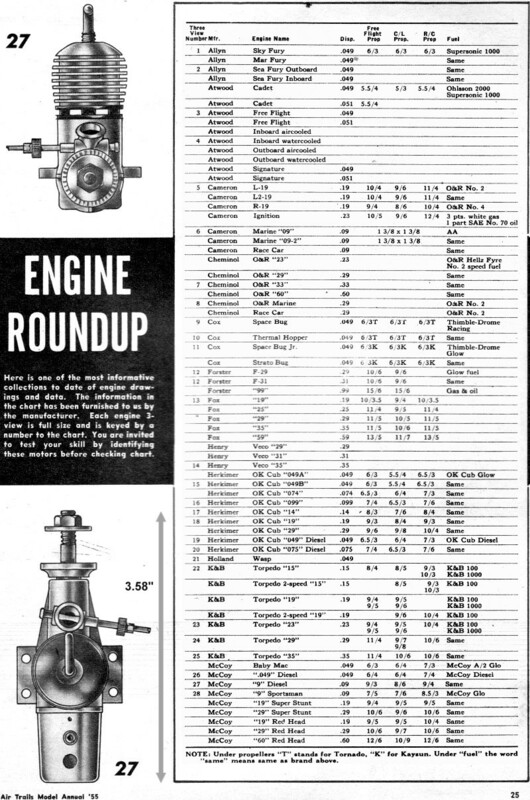 The information in the chart has been furnished to us by the manufacturer. Each engine 3-view is full size and is keyed by a number to the chart. 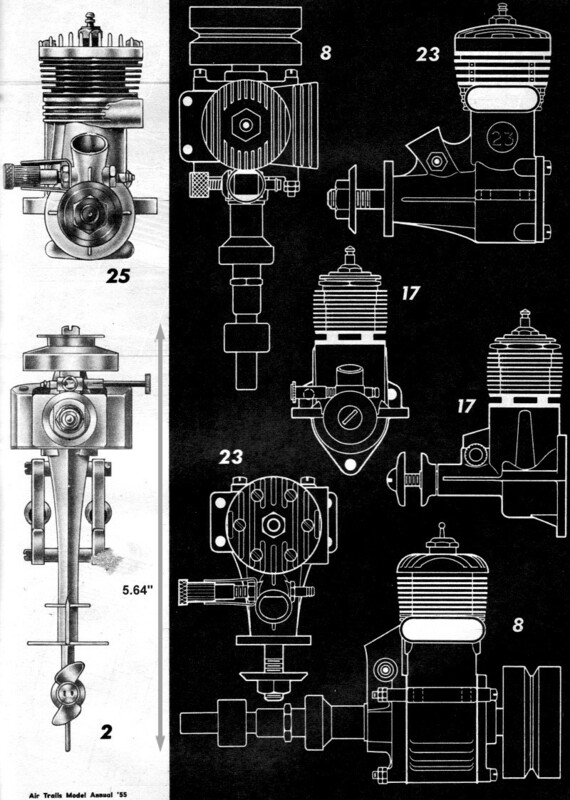 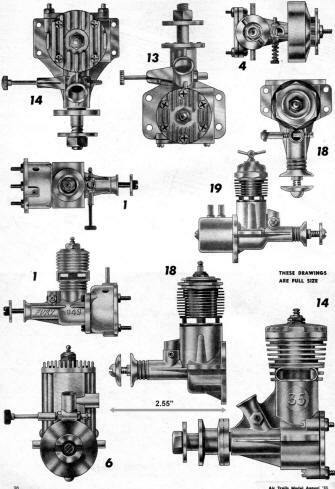 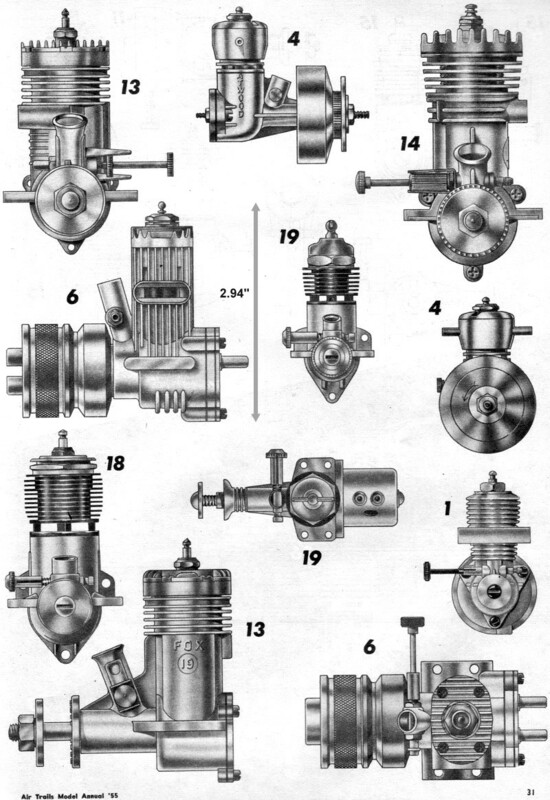 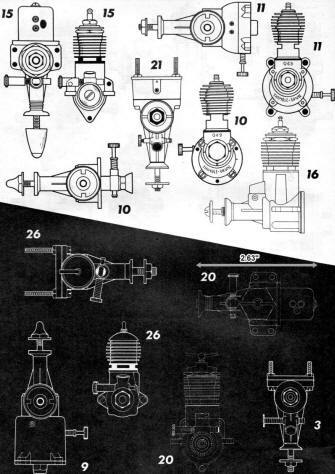 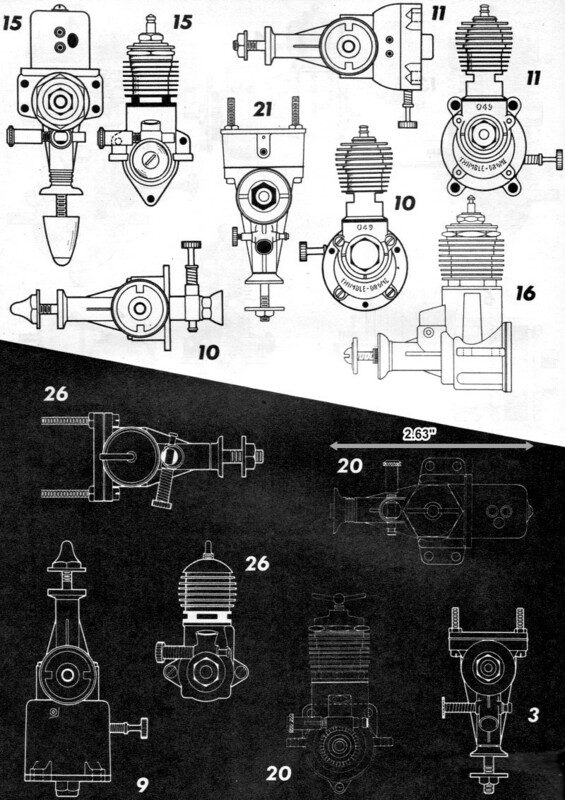 You are invited to test your skill by identifying these motors before checking chart." A total of 68 engines are included from Allyn, Atwood, Cameron, Cheminol, Cox, Forster, Fox, Henry, Herkimer, Holland, K&B, and McCoy include nitro and diesel power for aircraft, cars, and boats. 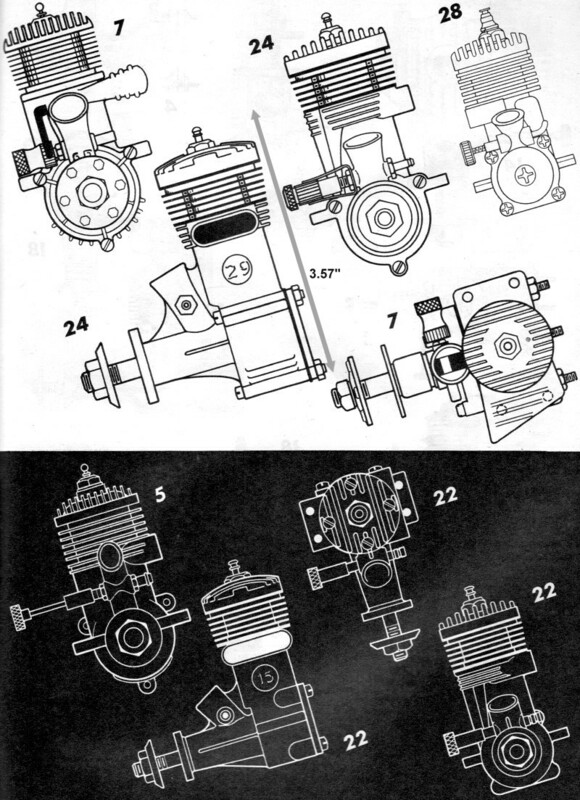 I measured one engine on each page and indicated its full-scale size so you can use it to scale any of the others on the page.